My Santa Rosa plum has had a couple of buds open and flower, but most of the tree has not bloomed yet. My Snow Queen nectarine has not bloomed yet either, but it's in a shady spot while I figure out if I'm going to put it in the ground this year or just up-pot it. the ones in the ground are doing fine thought just breaking dormancy. It seems all my trees are behind almost a month compared to last year. Arctic star has sporadic blooming. Long Beach Peach growing here in Long Beach is covered in quarter size fruit. Small parts of my Royal Lee and Minnie Royal are blooming. My Red Barron Peach is just starting to bloom. Stella Cherry is still resting. I have a Bing cherry that's growing great (no fruit yet) but I did graft on a scion of Minnie Royal. First year on it already had a few druplet fruits begin to form (but they fell off, or maybe were taken by the birds, before further ripening). 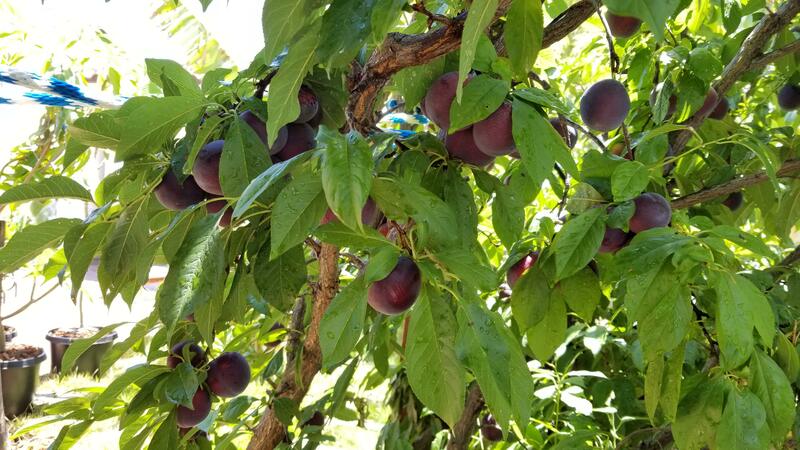 Also have a Bleinheim apricot that produced 30 fruits the previous winter, and the tree had only been in the ground 3 years. 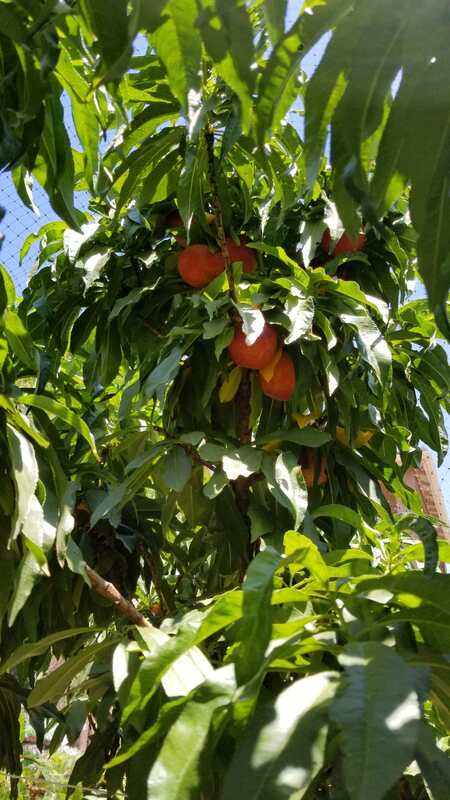 My nectarine, 3 peaches, plum and pluot trees all have small fruit on them now. 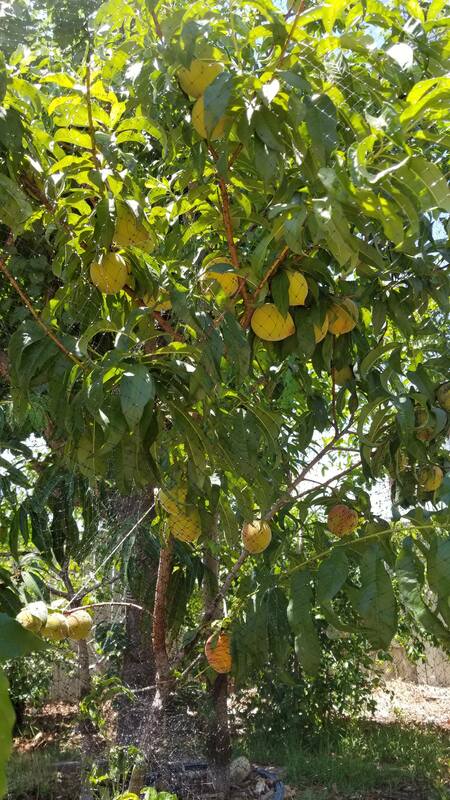 These are tree's that the fruit ripens between Mid May - August. My SpiceZee pluot and Mid-pride peace are blooming, doing ok, just like last year. However, the Flavor grenade pluot and Burgundy plum look still in dormant stage. Could this be because these last 2 require about 350-400 chill hours, compared to the first two that require 200-300 chill hours requirement? I don't know if it would work for stone fruit, or where are few or no chill hours, but I've heard of people picking the leaves off of apple trees to force them into dormancy when they don't do it naturally. We got about a dozen peaches so far. The tree has maybe 500 on it and so far critters are not getting them! I have other trees still dormant! You have one of the earliest Peach I think! Do birds getting to your fruits, Brad! I placed nettings on SpiceZee pluot and Mid pride peach last year, that worked well to protect the fruits. By the way, after coming back from going 1 week out of state, I was surprised to see both my Flavor grenade and Burgundy plums finally breaking dormancy. What other stone fruit trees you have that are still in dormant stage, Brad? Of course after I said no critters, the critters come. When they start getting red I toss a bag on them. Birds got a few but not bad. Also use the shiny bird scare tape. Now there are so many peaches I am letting the birds have a few. I popped a squirrel with my 410 shotgun today who was going for the peaches. Wildlife in the yard is a pain. Evas pride peach is blooming and setting fruit currently. Beauty plum and double delight nectarine, lapins cherry, fuyu persimmon, all still dormant. I put in a lot more stone fruits this year but they are all growing already. I guess they got their required chill back at the Dave Willson nursery in N CA. Will have more info on what trees do what next year. My Bing Cherry and pluot have small green fruits on them here in NorCal. My persimmons are breaking bud. Fuyu and chocolate with good growth. Rojo brillante and 2 other grafts pushing. My persimmons are looking good too! Last year the hachiya didn't produce at all but there's some damage to the tree. Lit's of flowers coming in on it though. Fuyu Gabe us so many last year we gave bags away. both my Flavor grenade and Burgundy plums finally breaking dormancy. Come on people, if you want banner crops year in and year out, buy fruit at the store. Fruit production is highly dependant on climate/weather. Weather is fluid...so what your trees will do from year to year will vary. By the "chop it down cause I didnt get a million fruit" theory, nobody would be growing fruits of any kind. Oh, 3, 4 and even 5 year old trees, still in the juvenile stage. Great reminder....i have to keep telling myself this. Growing fruit really challenges my perfectionist mindset (which is a good thing). I'm having better luck this year. 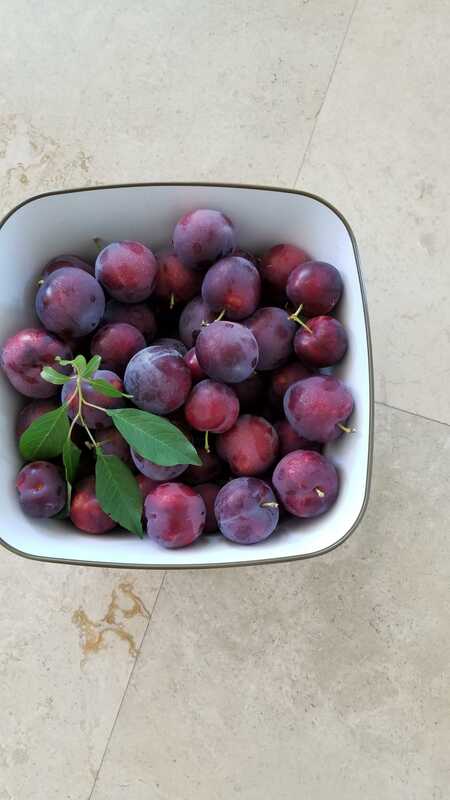 The plum tree has been productive every year, whereas the nectarines and peaches have been sparse, but better this year.